Deputy Speaker of the Parliament, and MP for Hulhu Henveiru constituency, Moosa Manik has announced that he will not be running in April's parliamentary election. Last December, Moosa had announced that he will be contesting for Gamu constituency as an independent candidate and had initiated campaign activities. However, Moosa announced his decision to drop out of the race on Twitter on Friday. 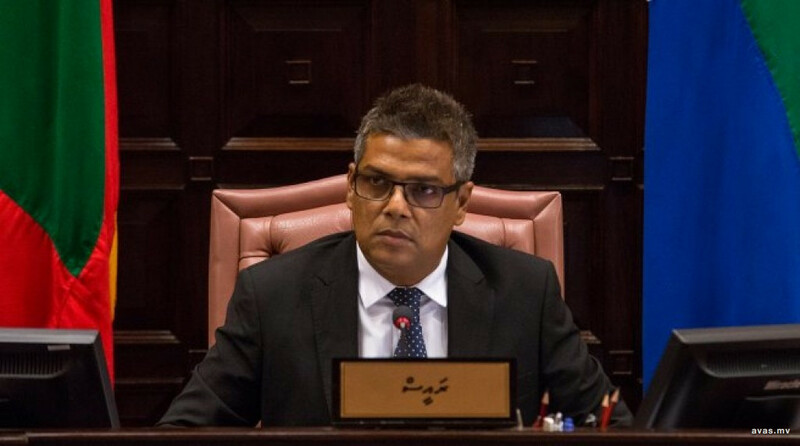 Speaking to AVAS, Moosa said his decision was not prompted by any particular reason, and was a spontaneous decision. Earlier, Moosa said he chose to contest for a Laamu atoll constituency as he first began his political career as a member for a Laamu atoll. He has always spoken of having done many services to the people of Laamu atoll during his time as an MP during former president Maumoon Abdul Gayyoom's tenure. While Moosa has announced he will not be contesting in the elections, his business has largely expanded all over Laamu atoll. His company is now preparing to launch a new resort in the atoll.